The cost of a marriage license and civil ceremony is $100. No blood test or mandatory waiting period is required. In addition, as a special remembrance at a minimal cost, couples can purchase special mementos including a silver-framed digital photograph, "Just Married" bumper sticker, or a decorative wedding keepsake certificate. “Valentine's Day wedding ceremony reservations are filling up quickly,” said Ernie Dronenburg, “We will accommodate couples who want to be married on this special day by staying open later and assigning additional staff to help couples who don’t have a scheduled appointment time.” Appointments are recommended, but will not be required on Valentine's Day at the downtown location. Reservations can be made by calling (619) 237-0502. In keeping demands from prior years, over 100 couples are expected to obtain licenses and many couples will also be married by County staff on Valentine’s Day. Couples can save waiting time by completing their license application online at www.sdarcc.com before coming into the office. Couples can tie the knot downtown at the historical County Administration Center overlooking the beautiful San Diego Bay. Marriage licenses and civil ceremonies are also available at the County Clerk's El Cajon (200 S. Magnolia Ave.) and San Marcos (141 E. Carmel St.) offices from 8 am to 4 pm. Appointments are required at these locations and can be made by calling (619) 237-0502. As an alternative to a wedding ceremony performed by a County staff, couples can choose to have a relative or friend perform their marriage ceremony at another location. 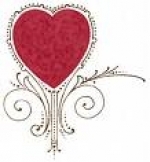 Interested couple must have their chosen friend or family member pay a fee of $50 and submit a brief "Deputy Commissioner of Civil Marriages for the Day" application by Wednesday, February 9th for a Valentine’s Day ceremony. Information is available on line at www.sdarcc.com or by calling (619) 237-0502.